PokerStars is back in the United States, authorized by the State of New Jersey to offer online poker to its over seven million residents of legal Internet gambling age. The Garden State’s Division of Gaming Enforcement (DGE) mulled the world’s largest iPoker network’s application for over a year, reportedly interviewing 70 individuals and traveling to a half-dozen countries before stamping its seal of approval. 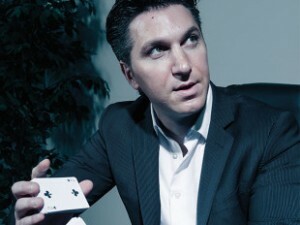 Amaya purchased the PokerStars and Full Tilt brands for $4.9 billion in June of 2014, a mammoth transaction that instantly took the then-small Montreal-based gaming company and transformed it into the industry’s biggest player. Full Tilt is an additional beneficiary of Amaya’s newly minted operating Jersey license, the site also being granted permission to set up shop in America’s 11th most-populated territory. PokerStars and Full Tilt’s comeback to the United States has been about as easy as navigating the Garden State Parkway during rush hour. The two sites came under federal investigation when they continued operating despite Congress’ passage of the Unlawful Internet Gambling Enforcement Act in 2006. The Department of Justice seized the .com assets and forced the networks to depart the US. PokerStars and Full Tilt were labeled “bad actors” for their unlawful activities and have been subsequently banned from returning to the three states that legalized iGambling until New Jersey issued Amaya its license this week. Its history in the US is why DGE officials took their time in making sure bringing PokerStars back had more advantages than concerns. In the end, the division concluded that Amaya has amended the once-problematic culture. “This stringent review found PokerStars to be under strong, ethical and trusted ownership and management with Amaya, and worthy of participating in New Jersey’s regulated online gaming market,” the company said in a press release. Baazov went to Blackstone, one of the premier global investment firms with annual revenues exceeding $7 billion. They too struggled to see Baazov’s vision, initially asking if he was kidding. After finally persuading the private equity analysts at Blackstone and receiving a letter stating he had secured $3 billion in funds, Baazov and PokerStars began negotiations, ultimately leading to a $4.9 billion takeover. Of course, such a transaction meant the Amaya CEO would need to get creative quickly in order to payoff such a debt. He unloaded business-to-business assets to the tune of $524.8 million, launched casino games on PokerStars and Full Tilt, and has ventured into sports betting and daily fantasy games. Now back in the US poker market, the outlook appears very bright for Amaya. “We are excited about our new product pipeline and enthusiastic that we will experience growth in existing and emerging markets in the future,” Baazov said.